After the Armistice in 1918 many towns and villages began to organise memorials to those from the area who did not return. The people of Farnborough, under the guidance of Farnborough Parish Council, formed a Memorial Committee to raise the money and organise the design. 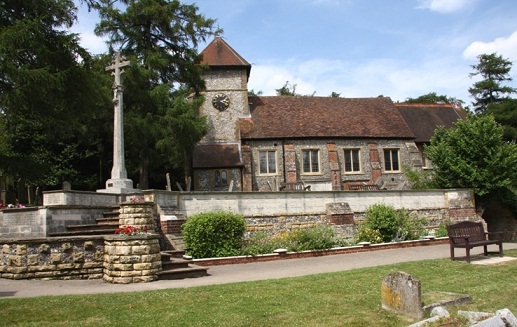 The Architect they selected was Fred Harrild, son of Frederick and Edith Harrild who are buried in the square grave, with a yew tree in the middle, in front of the War Memorial Cross. Frederick and his family moved from Long Ditton to "Shirlies" in Tubbenden Lane in 1884. The Committee chose well, as Farnborough War Memorial is widely acclaimed one of the finest in Kent. It has needed care and attention over the years and thanks to the generosity of the Farnborough residents and others who have connections with the village, remedial work has been carried out in time to preserve it. The War Memorial in Farnborough Parish Churchyard was unveiled and dedicated on Sunday 15th October 1922. It was unveiled by Brigadier-General G. Lubbock, C.M.G., D.S.O. and dedicated by The Venerable Archdeacon of Rochester the Revd. Donald Tait. M.A. The service round the memorial, which nearly everybody in the village attended, was preceded by a procession which assembled at the Farnborough Schools in Starts Hill. It was headed by the band of St. Joseph’s Orphanage Orpington, under Band Master Lane and it was followed by Ex-Servicemen, under Major Grinley and Major Pilditch, Farnborough Parish Council, the Farnborough Memorial Committee, The 1st Farnborough Boy Scouts under Scoutmaster F. Mason, the Farnborough Fire Brigade under Captain Wallis, St John’s Ambulance, and members of the Court "Lord Farnborough" of the Ancient Order of Foresters. All marched through the Village to the Churchyard. Farnborough War Memorial was built in 1922 and is dedicated to the men of Farnborough who died in the First and Second World Wars and it must be kept and preserved in their name by the good folk of Farnborough. In 2017 the War Memorial was pressure cleaned to removed the effect of many decades of weathering and pollution. This has restored the vibrant colouring of the original monument. This project was funded jointly by Farnborough Village Society and St. Giles church. These photos show the gleaming stonework after the cleaning was carried out, contrast with the appearence in the photos above. Before the 1914-1918 War, Fred studied and became an architect with an office in Grays Inn Place, Holborn and did work in many places including Chislehurst and on Farnborough Church. During the war Fred Harrild served as a volunteer ambulance driver in France for the British Red Cross and later as a lieutenant in the Army Service Corps M.T. in Mesopotamia, from where he was invalided to India. 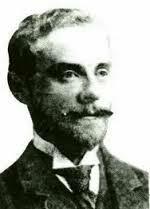 He married in 1920 and moved to Totnes in Devon where he practised as an Architect. In 1926 he became a Fellow of the Royal Institute of British Architects and moved to Storrington, West Sussex, but he continued to practise in Devon. He died in June 1969 and is buried in Sullington Churchyard. Farnborough Village Society, acting as Bankers, formed a War Memorial Committee in 2007, which took full responsibility for the maintenance and improvement of the Memorial, with Sue Ellis as Chairperson. A general appeal was started to raise the necessary funds for improvements carried out in that year, and grants from various organisations were also obtained. There will always be a ongoing jobs that need attention, such as removal of vegetation from the structure, re-pointing of wall joints and keeping the planted areas tidy. Farnborough Village Society (F.V.S.) is, therefore, keeping the Fund open to ensure that the Memorial stays in good condition for generations to come, and donations will always be gratefully accepted. For further information also donations of any size, contact Sue Ellis. Please make cheques payable to F.V.S. War Memorial Fund.